Over the years there has been a great deal of speculation (and a very small amount of data) suggesting that men who get diagnosed with relatively low-risk forms of prostate cancer may be able to delay progression of their disease by eating the right diet. However, to date we have not done trials that are long enough or well-enough- designed to prove this hypothesis. In a new paper from a research team at the University of Texas M. D. Anderson Cancer Center, at Houston, TX, Gregg et al. have now explored the question of whether a high diet quality may support a metabolic and anti-inflammatory state less conducive to prostate cancer tumor progression. What Gregg et al. did was to prospectively investigate diet quality in relation to Gleason grade progression among a cohort of several hundred men diagnosed with localized prostate cancer who were initially being managed on active surveillance (AS). Their report appears in the British Journal of Cancer. 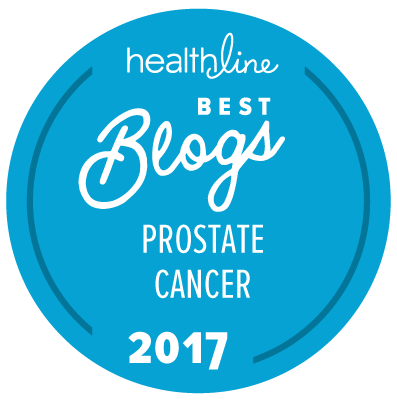 Patients who had been newly diagnosed with prostate cancer that was very low-, low-, or intermediate-risk (with a Gleason score of 6 or 7) were enrolled into a clinical trial on a biennial (twice-yearly) monitoring regimen. Patients were asked to complete a food frequency questionnaire (FFQ) at the start of the study (baseline) and again at the first 6-month follow-up period. 411 AS patients completed the FFQ at baseline. 263 AS patients (64.0 percent) completed the FFG at 6 months of follow-up. The average (median) follow-up period was 36 months. 76 patients are known to have progressed during the follow-up period. No change in diet quality from baseline. … higher diet quality or conformance with United States dietary guidelines at enrollment may lower risk of Gleason grade progression, though additional confirmatory research is needed. So we again have data from a relatively small, relatively short-term study indicating the possibility that diet may be able to have some degree of impact on risk for prostate cancer progression among men on AS. As we have said before, it is unlikely that we will be able to get clear data from such a relatively small set of men who are followed for just 3 years. What we need is more rigorous study in a much larger set of patients who are followed for more like 10 years. It would be nice to include a link to the US dietary guidelines in this article. Yay for having Gleason 7s in an AS cohort. The world is moving on. It’s hard to be really rigorous, although hopefully we can all move steadily in a “healthier” direction. That mouthful of chocolate though …. Like a smoker; it’s not going to be that cigarette that kills me. I’ll post back on any progression I make. As it stands, 11 years since I “failed” a PSA test and 2.5 since I confirmed MRI findings with a 3 + 4 = 7 biopsy. Indeed it would, but I have no idea exactly which set of guidelines are being referred to! Yep, that’s exactly what I was wondering.